When it comes to photo sharing platforms, Instagram carries the Oscar. If a major event happens, chances are that the photographs will first hit Instagram before spreading out to Twitter and other social networks. According to Instagram, there were over 500 million registered users at the end of June 2016, and more than 30 billion photos have been shared to date. Pretty impressive, huh? 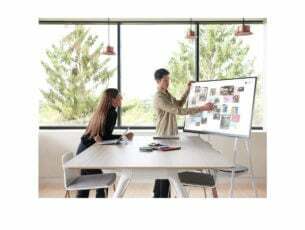 If you are one of those million users, then you probably have tried to save photos on your desktop and realized it’s not as easy as it sounds. One might think that saving images on Instagram is as simple as saving from other sites where you just right click on the image and save it. With Instagram, your saving options are limited as there is no “Save Image As” option. Instagram does this intentionally in order to protect copyright on photos. However, this does not mean that you cannot download photos from Instagram. 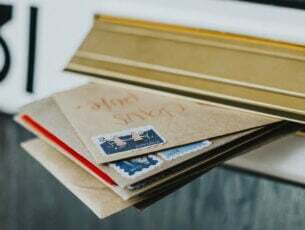 In this article, we will guide you through several workarounds to get the photos off Instagram and onto your computer or phone. There are many 3rd party applications that can be used to download photos and video and not all are functional. 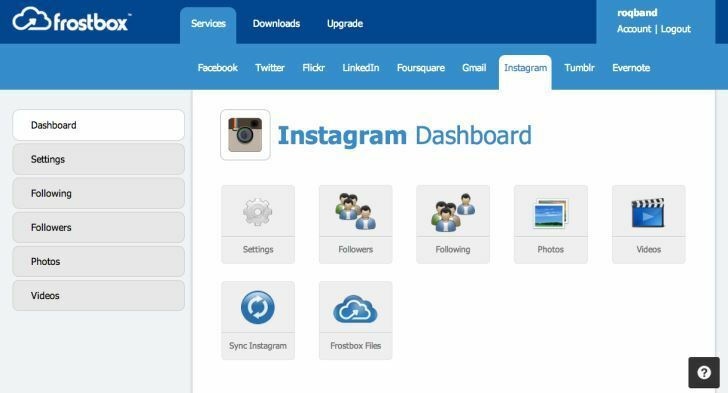 In this guide, we will introduce you to the Free Instagram Downloader software for Windows. Free Instagram downloader lets you easily download all those public pictures which are posted on Instagram. It lives up to its name, offering you a free and easy way to download all those Instagram photos which are posted publicly. To use the Free Instagram Downloader, follow the procedure below. Step 1: Download and install a copy of Free Instagram Downloader on your computer and launch it. The app is easy to use as it doesn’t require you to sign up or sign in to get started. Just install and go. Step 2: Once launched, click the ‘Input Username’ and enter the username of the person whose photos you want to download. Then click Okay. 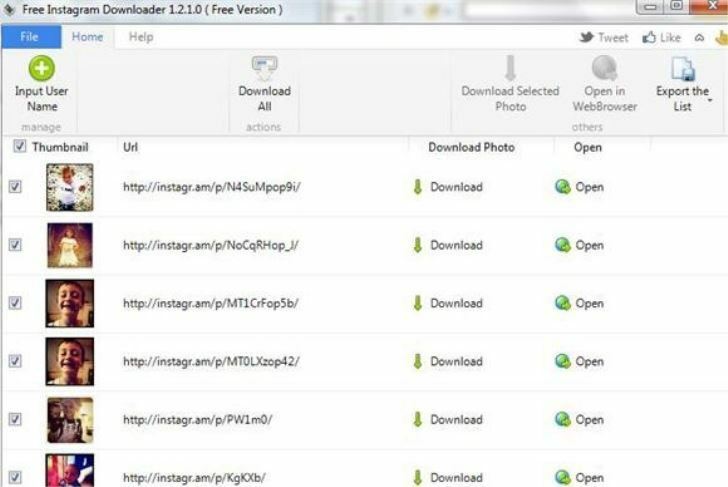 Free Instagram Downloader can access all the photos that the user has made public. Thumbnails for each photo that the user has downloaded will then appear in a list format within the application. Step 3: Downloading the photos. Each thumbnail has a checkbox next to it. You can download all the photos or uncheck the photos you don’t want to download. The downloaded images will be saved to your computer. Free Instagram Downloader allows you to download the photos of one user at a time, so it cannot be set to download the photos of all your friends at once. This program has succeeded where others have failed due to its simplicity and a user-friendly interface. It also allows you to access a few of the Instagram features on your desktop. While Instagram does not allow you to save the photos directly, it does allow you to access your photos from any computer, making it easier for you to save them. However, saving the photos to a desktop can be a tricky process especially if you don’t know about the ‘Inspect Element’ feature. Did I scare you at the mention of Inspect element? You will be surprised at how easy this method is and you will probably use it to download some of those Instagram photos that you admire right away. This is also the easiest method to download photos from Instagram as you won’t need to download or install a third party application. 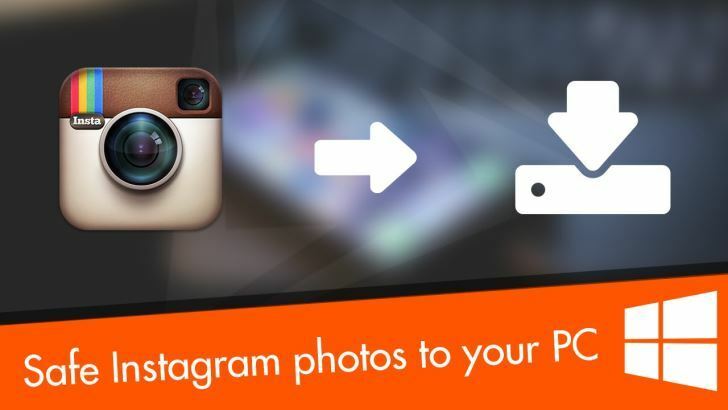 Follow the steps outlined below to download Instagram photos to your PC. You will be surprised at how easy this method is and you will probably use it to download some of those Instagram photos that you admire right away. This is also the easiest method to download photos from Instagram as you won’t need to download or install a third party application. 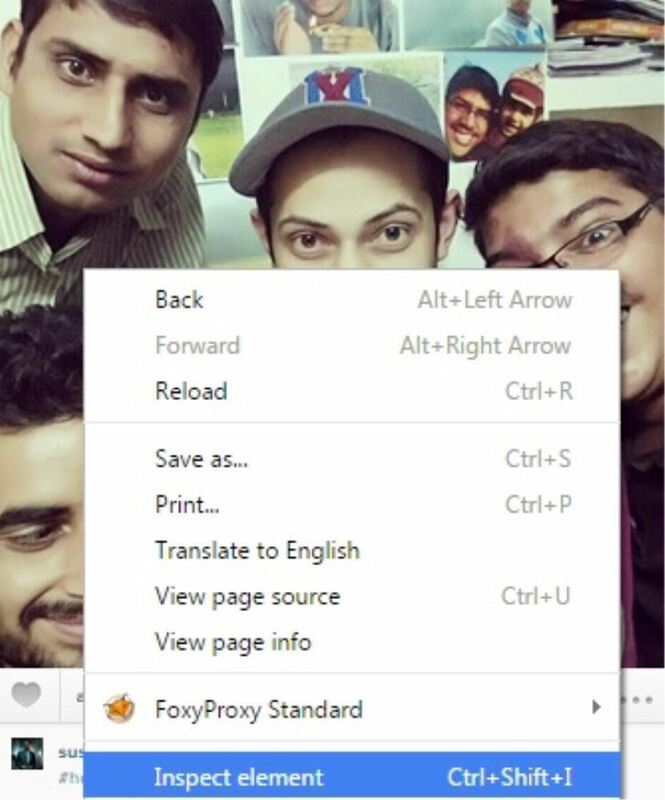 Follow the steps outlined below to download Instagram photos to your PC. Step 1: Log in to Instagram, or first create an account with Instagram if you don’t have one. This is the very first requirement since Instagram will only display photos from your current friends and does not let you explore other photos. However, you can be able to view photos of other users if they have not set their accounts to private. Step 2: Right Click on the image you would like to save on your computer. On the popup window that will appear, click on ‘Inspect element’. 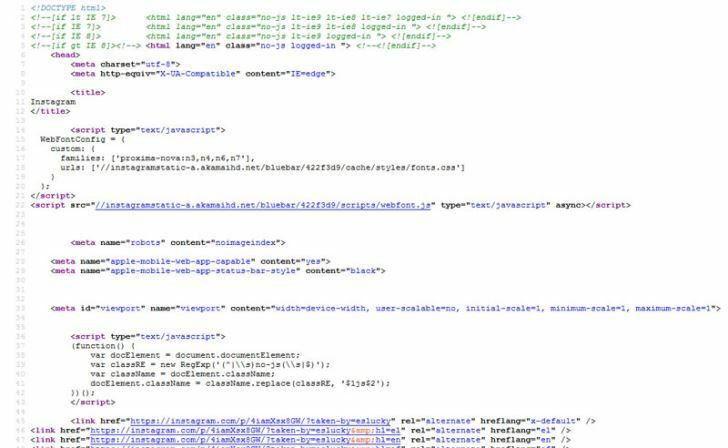 This will open up a sidebar with a lot of HTML codes and a small section will be highlighted in blue. Below find a screenshot of what you will see. This may look like gibberish to you, but this is where you will find the link to the image you want to download. All Instagram images are saved as JPG files. So all you have to do is search for jpg in the page source. The image URL is the long link starting with ‘https’ and ending with ‘jpg’. Once you find it, delete everything except the image code that starts with ‘https’ and ends with ‘jpg’. Step 3: Copy the image link and paste it in your browser, then press enter and your image will appear on its own ready to be saved. Step 4: Right click on the image to save it. A window will open that will allow you to name the image and choose where to save it. This method is rarely used as it only allows you to save your photos but not to explore and download your friend’s photos. 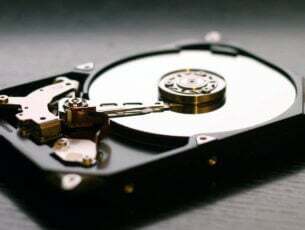 There are many websites that can save all your photos in bulk, providing a safe and consolidated backup of your account. This can be very useful especially when you can’t log in to Instagram or you deliberately deleted your account. To get started, follow the steps below. Search for ‘Instagram Backup’ on your browser. One reputable site for Instagram Backup is Frostbox. Enter your Instagram’s login credentials. This will allow the site to access your photo gallery. Choose your preferred export method. You can send the photos to Facebook, Flickr, or save the photos to a zip file. After backing up is complete, you can click ‘start export’ and within few minutes, you will have a folder with all your Instagram photos. Now that we have shown you the various ways to save photos from Instagram to PC, why don’t you try it out? Don’t forget to comment and share.